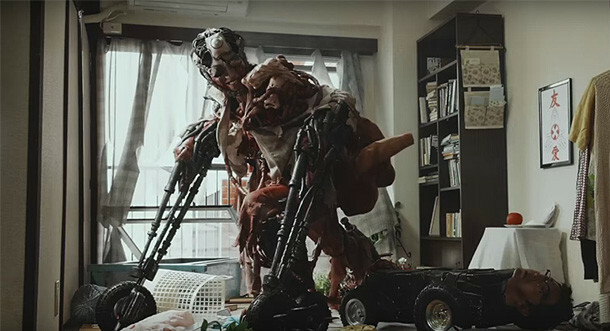 The Necroborgs are back, twelve years after the splatterpunk classic by Yudai Yamaguchi. Once again, the original's special effects director is behind the camera. Yoshihiro Nishimura is not only the director of some of the craziest movies ever made ("Tokyo Gore Police", "Vampire Girl vs Frankenstein Girl", "Hell Driver"), he is also one of the most renowned Japanese SFX masters ("Attack on Titan", "Tag", "Shin Godzilla") and definitely no representative of moderate gait. You have been warned! Kodoku Meatball Machine wurde auf dem 19. JFFH 2018 gezeigt.